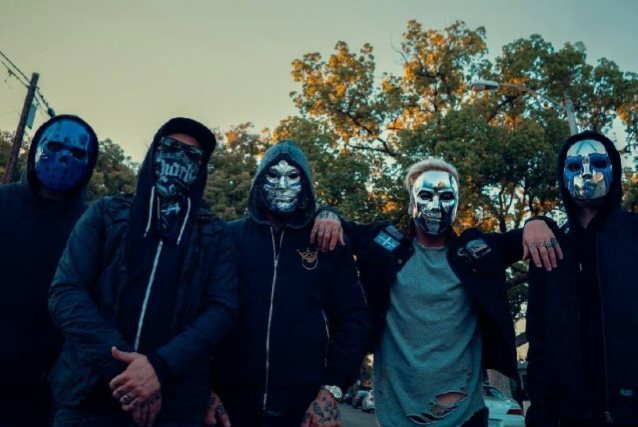 "Renegade", the new video from HOLLYWOOD UNDEAD, can be seen below. 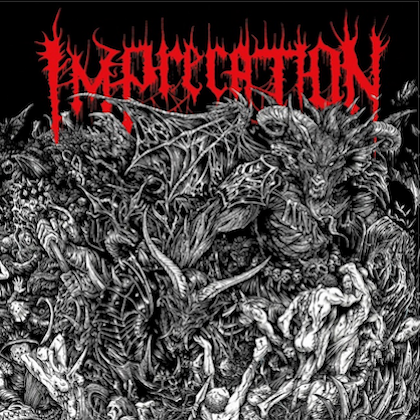 The song is taken from the band's fifth full-length album, "V" (Five), which will be released on October 27. 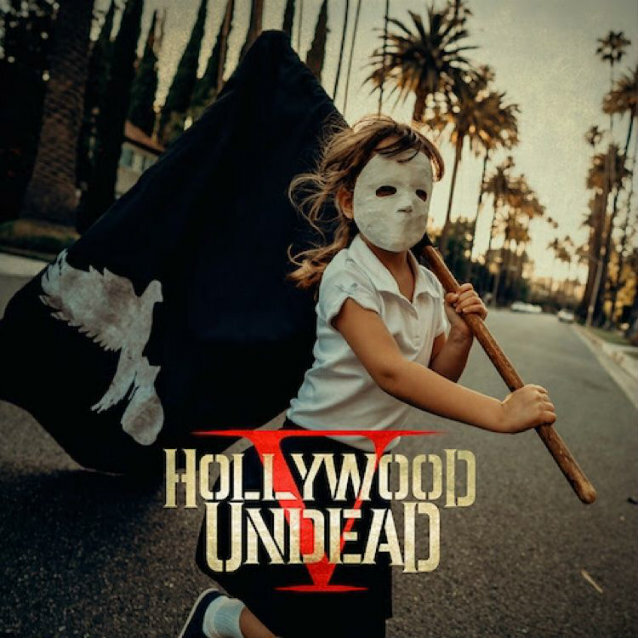 HOLLYWOOD UNDEAD's Johnny 3 Tears stated about the track: "I hope this song and video can inspire kids to believe that they can change the world, and it's up to them if it's for the better or worse. The truth is that the kids of today are the renegades of tomorrow." Regarding "V", Johnny 3 Tears said: "We're five brothers, and this is our fifth record. Nothing gets to the essence of the music like this number does. Numerology has a lot of power. When we said 'Five', it just made sense. The fact that we could all agree on one word codifies who we are. It also nods back to 'No. 5' from our first album, because it was our fifth song. Moreover, it hints at this secret society of fans supporting us for the past decade. The number is significant, and this is a significant moment for us." HOLLYWOOD UNDEAD's new set of dates in support of "V" will begin on September 30 at the Louder Than Life festival. For all U.S. headline shows, BUTCHER BABIES will serve as direct support.